We’re finally getting out of winter weather here, and I’m SO very ready for summer. The spring pollen bothers me, and I could really just skip over springtime. Can we just fast forward already? I’m ready for cold cocktails on the front porch after work. I’m ready for my herb garden. I’m ready for Saturdays at the pool. I’m ready for campfires and s’mores with friends. Just get here already, summer! 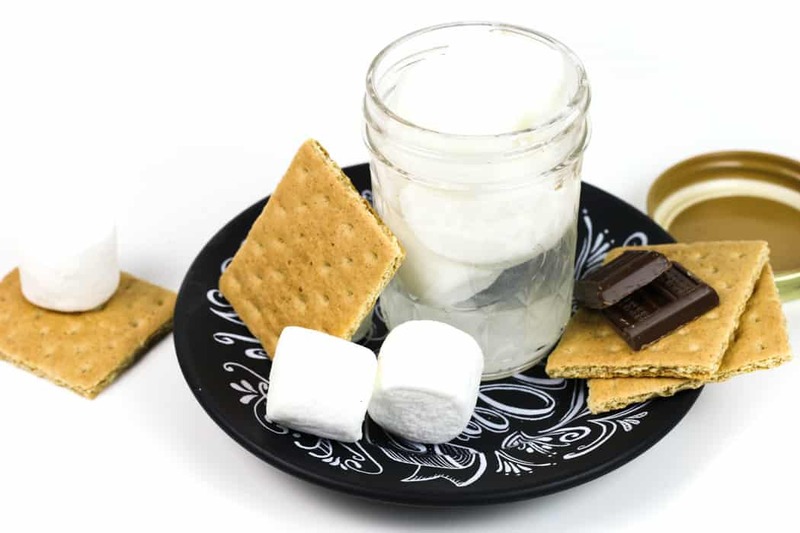 Nothing says summer to me like s’mores, so I have been experimenting with s’mores flavors at home while I wait for summertime. 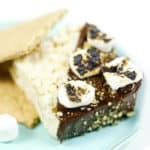 These S’mores Rice Krispies Treats and No-Bake S’mores Avalanche Cookies definitely hit the s’mores spot, but I am ready to start playing with s’mores flavors in my drinks. 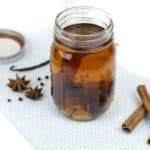 I’ve seen marshmallow vodka at the liquor store before, but since I’ve tried other candy infusions like Peppermint Vodka and Candy Corn Vodka, I figured marshmallows would infuse into liquor just as well. This 24-hour infusion is SO easy. Just plop some fluffy marshmallows into a mason jar, cover with vodka and let it sit overnight. What size marshmallows should you use for marshmallow vodka? I used regular size in these photos, but I tested both. 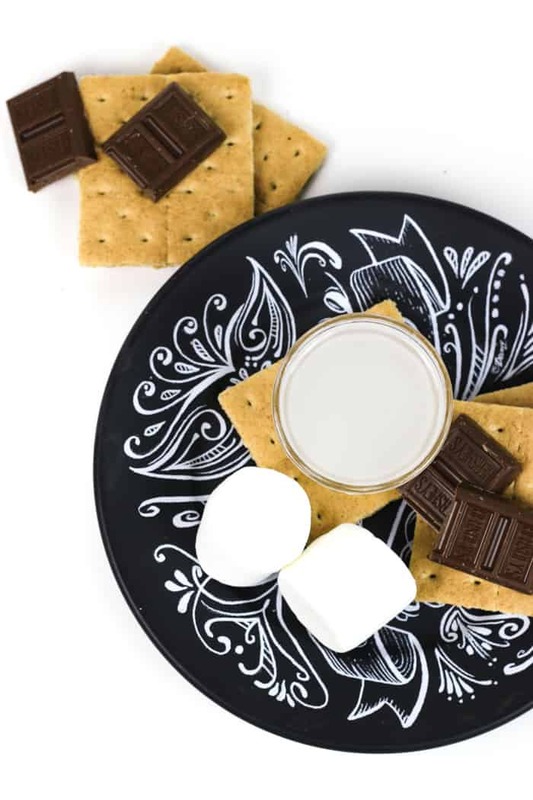 What I found was that you can use mini or regular size marshmallows, but I found the miniature ones worked better because of their smaller size. The smaller surface area helps them to dissolve into the vodka faster. If you only have regular-size on hand, what I would do is just use a knife or kitchen shears to trim them down. Or don’t bother, but don’t be surprised if your vodka needs a little more time like mine did! 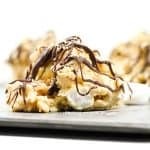 You can even use homemade marshmallows if you wish, but my philosophy is… If you’re going to go to all that effort to make amazing, fluffy homemade marshmallows, why not just eat them?! That said, these chocolate whiskey marshmallows or these cherry marshmallows would both be fantastic because they have those extra flavors! 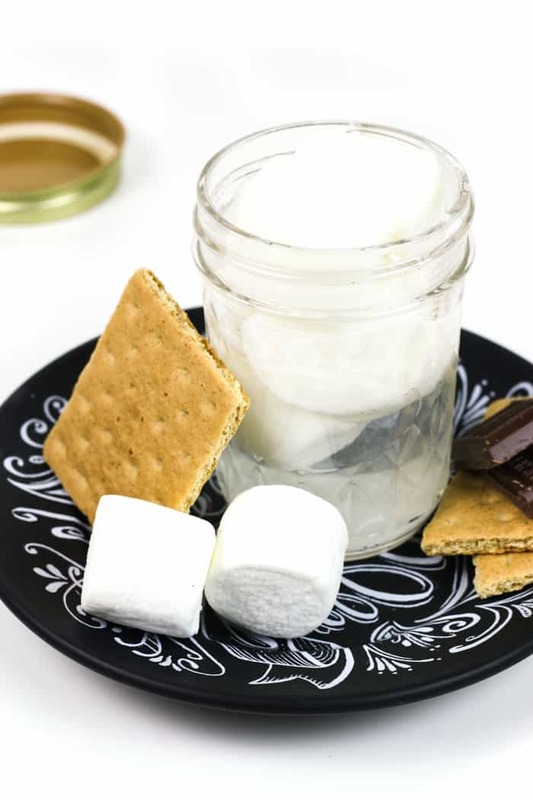 Can you make toasted marshmallow vodka? Just toast the marshmallows in the broiler or with a butane blowtorch. 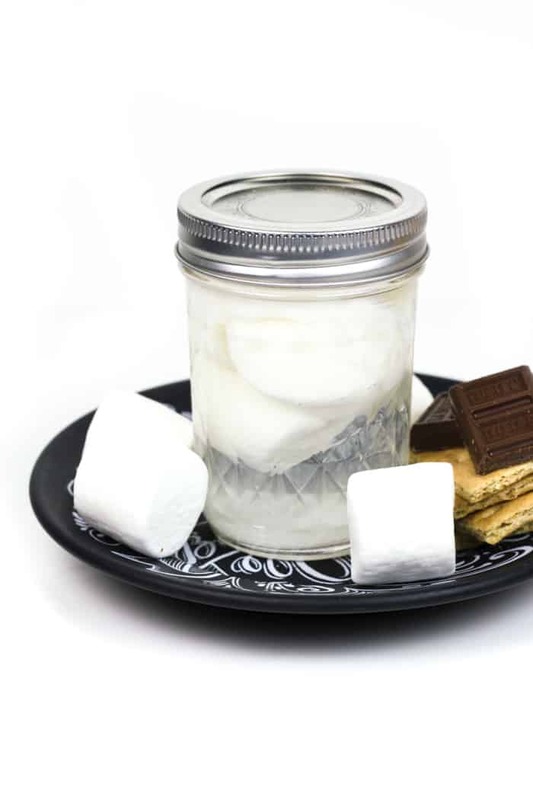 Then follow this marshmallow vodka recipe! Your result will be more brown than white, and you’ll definitely want to strain off the burnt bits, but the result is so tasty. 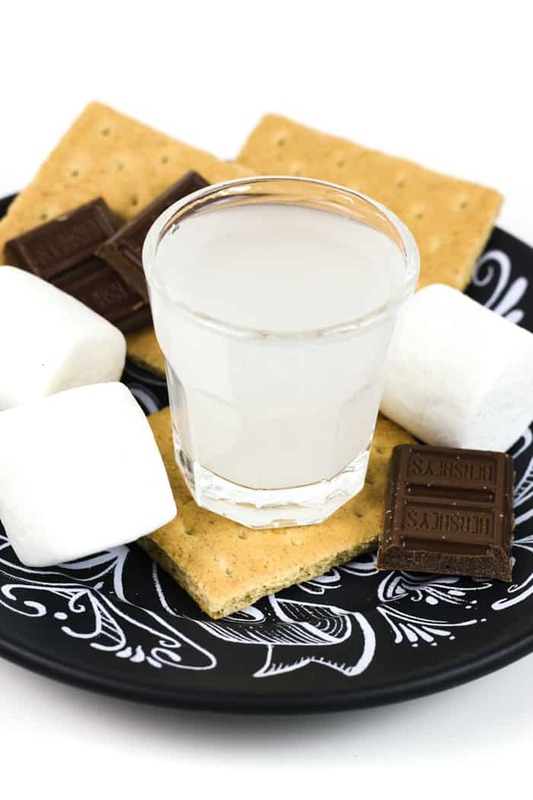 Marshmallow vodka would go deliciously in a chocolate martini or a white russian for a s’mores twist. 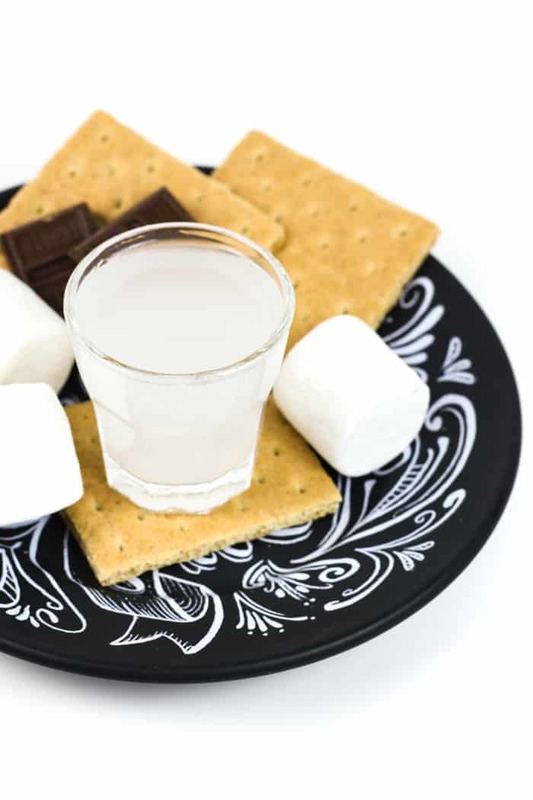 But the best part of this marshmallow vodka is it’s not limited to s’mores drinks or summertime. It goes great in hot chocolate too! Try it in this Spiked Nutella Hot Cocoa.